Nevermore! 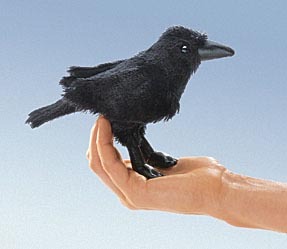 Our miniature raven will perch upon your chamber door. This finger puppet measures 7" long.